Highlights from the article in Hotel News Now. The explosion in mobile devices has created a new distribution channel for hotels. Approximately 55% of United States households have a smartphone and 44% a tablet, according to the Consumer Electronics Association. As a result of the growing popularity of Internet-enabled mobile devices, hotel companies are reporting a larger percentage of online sales from mobile platforms. For example, InterContinental Hotels Group reported mobile revenues of $330 million in 2012, accounting for 9.7% of online revenues, while Choice Hotels International stated in May 2013 that mobile bookings accounted for 13% of its online sales. While most global hotel chains have mobile-friendly websites, they are now moving into hotel applications for smartphones and tablets. These apps serve a variety of functions, from booking hotels and monitoring loyalty accounts to locating nearby attractions. Marriott International, Choice Hotels and Hyatt Hotels Corporation have one smartphone app that searches for all of their hotel brands. Marriott and Hyatt are well-known names thanks to their flagship brand sharing the name of their parent company, so it is likely guests are able to find these apps easily. The companies can capitalize on their strong brand recognition and provide an easy-to-use one-stop shop. Highlights from the article in Tnooz. For the proactive hotelier the opportunities are endless but those that don’t pounce on it are destined to be left in the dust by their more savvy competitors. For hoteliers, making sure your website is mobile enabled, accessible and user-friendly across all platforms is the critical first step. Once this has been undertaken, general managers can then begin to look at the infinite amount of ways to improve the hotel experience and potentially increase their revenue in the process. Reproduced below is an excellent article from HotelExecutive.com. The article comprehensively covers all the requirements of a guest self service app. While standard hotel guest room technology may include a television, telephone, clock radio, internet access, electronic lock, valuables safe, and a refrigerated mini-bar, guest self-service applications – centered on hotel and concierge services – are becoming part of the amenities landscape. Hotels are redefining self-service in order to offer more choices designed to enhance the guest experience. Self-service as a market trend has gained momentum as guests increasingly expect and prefer self-service functionality within hotel guest rooms as opposed to a limited set of offerings dependent upon hotel staff. Self-service applications enable guests to request services, control transactions, research opportunities, create reservations, arrange transportation, and schedule activities. It is for these reasons that self-service applications are often described as “guest facing forward” applications. Self-service applications may be resident on an in-room device (e.g. television, PC, or tablet PC) or downloadable to a guest’s mobile device (e.g. PDA, iPhone, or PC). Despite the functional platform, in-room applications tend to rely on lodging technology infrastructure and thereby may not incur significant incremental cost to deliver a plethora of self-service options. The goal of these self-service efforts is to empower clientele in a way that enhances the guest experience. Most businesses report that self-service applications lead to a reduction in operating expenses while markedly improving customer satisfaction. Similar to other retailers, hoteliers appreciate the extended coverage, lower costs, and reliability of automated transactions found in in-room unattended applications. As a result, opportunities to conduct on-premises applications are welcomed alternatives; even for an industry that prides itself on personal, quality service. While current technology is sufficient to effectively initiate guest-operated functionality, integration with a hotel’s property management system (PMS) and/or point-of-sale (POS) system provides a basis for monitoring and tracking service follow-through. Aggregated guest self-service transactions can be used to form the basis of a data warehouse of preferences, purchases, and services as well as staff response times. A data mining analysis can then be applied to correlate self-service outcomes with guest satisfaction, improved productivity, and strengthened profitability. Continue reading the article on HotelExecutive.com by clicking here. We just read the below article on Tnooz: The Year In Review – Travelers and Hoteliers Turn to Mobile Apps. We could not agree more. From marketing to booking to offering concierge services, 2012 was all about mobile technology. Whether for smartphones or tablets, for guests or employees, apps ruled the hotel scene, and the trend shows no sign at all of slowing down. In fact, an estimated $4 billion will be spent on near field communication devices in the coming year alone, according to Tnooz.com. Last week, Travelport, which provides business services to the travel industry, reported that 87 percent of those aged 35 and under, and 80 percent of those 36-45, owned or planned to purchase a smartphone in the next six months. This increased access to the internet anytime, anywhere, is changing the expectations, demands and behaviors of leisure travelers. Sixty percent of these travelers consider a smartphone to be their ‘personal travel assistant or companion’ enabling interaction to take place at any time. Both groups prefer to access pre-travel information via mobile technology, rather than through traditional devices. This indicates the importance of travel itineraries that can be integrated with other apps, and formats that are easily read on mobile devices. In August, a Starwood survey of business travelers found that smartphones are the most popular device among overnight guests (74 percent), followed by tablets (65 percent), music players (43 percent) and laptops (32 percent). Chinese respondents were the only group to bump laptops out of the top four, in favor of cameras (30 percent). According to UK industry website MeetPie.com, Wi-Fi will become less important with the surge in the 4G telecommunications network, and tablet sales will soar. Speaking at the 8th UK National Association Congress, Ian McAuliffe, director of content and publishing agency, Think Publishing, said: “11 percent of the UK population has a tablet, but it is expected that by this Christmas Day that figure will rise to 30 percent.” Interestingly, 100 percent of the 100 associations Think questioned in a recent survey said that they had online content and email newsletters, but only 19 percent had digital editions and mobile presence. 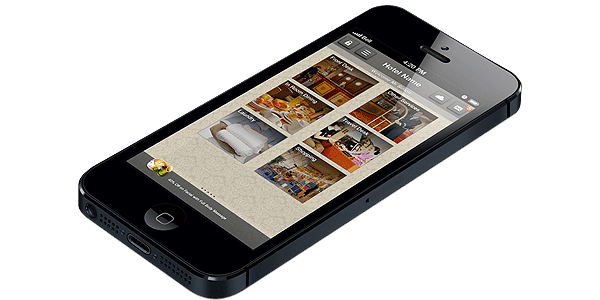 It would take all day to list all of the new and redesigned apps for hotel guests here—so many have made their debut that one can pick just about any major hotel chain or company and find a mobile app to fit it. Even independent properties are getting in on the action. But what’s notable are the apps that the hotel employees themselves use to run their business. Hotel Service Pro and SalesPro let hoteliers keep track of all their maintenance and service orders, or of sales and account data, respectively. Looking ahead, mobile payment systems seem poised to become increasingly common in many businesses, including hotels. It may well be that by the time 2014 rolls around, a smartphone with a good collection of apps (and plenty of memory, of course) may be a necessity for hotel guests and hoteliers alike. Does A Tablet Really Cost You Less Than A Dollar A Day? I never easily trust companies when they tell me the total cost of ownership of their products and neither should you trust us when we say that it costs less than $0.50 / day when you buy a tablet. But many companies have started renting out tablets especially to travellers. The latest is that XCom Global has started renting out the Google Nexus 7 at, hold your breadth, only $1 a day. If you don’t believe us, check out their website at http://www.xcomglobal.com. This means it must be costing them less than that, right? Can Installing A Tablet Actually Save Money For A Hotel? One of the first questions that pops in the mind of hoteliers, when we give demos of Blynk iHotel is, whether the cost of installing tablets has a reasonable ROI. Besides all the advantages of enhancing guest experience and marketing opportunities, the investment in tablets can be offset by replacing the following in-room material. Data released recently on usage of hotel apps in cases where hotels have installed tablets in rooms have found that more than 80% guests have used the tablet app on an average during their stay. 82% Guests used the tablet app during their stay. 11 number of uses (transactions) per stay. 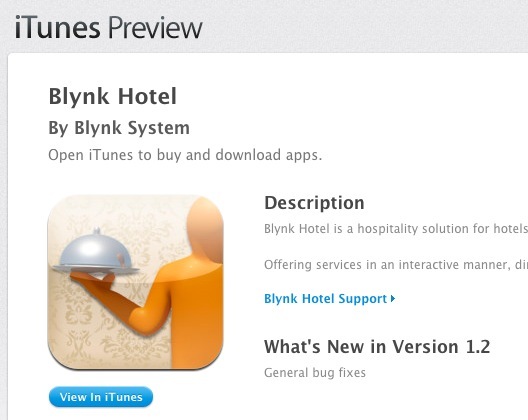 Blynk’s own surveys reveals that guests are eager to download hotel apps on their smartphones to explore hotel services, local information and place requests and orders directly from the app.